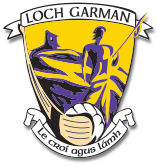 Lead sponsor and partner of Wexford GAA. Gain Feeds is Ireland’s biggest selling feed brand, providing complete nutrition for a wide range of animals including horses, dogs & cats, greyhounds, cattle, sheep, pigs and poultry. Using advanced feed manufacturing technology and nutritional research, together with fully traceable ingredients, Gain Feeds offer high-quality, consistent and nutritious feeds to our customers. We are supported by an experienced technical team providing the latest knowledge in animal nutrition.